Mondovi, Wis.-based Marten Transport began using the feedback program from WorkHound last fall in a limited rollout with 500 of its over-the-road regional drivers. The WorkHound system allows staff to share feedback via smartphone and leave a brief description of a concern they have with their employer. The message is sent to the employer without disclosing the caller’s identity. The employer must go through WorkHound's dashboard to request the staffer’s name. The worker can accept or reject that request. A number of drivers at Marten had issues that indicated they were considering leaving the firm, according to Lars Offerdahl, Marten’s recruiting director. Marten received permission to contact the drivers, and it initiated conversations with them either individually or in groups. Fifty remained with the carrier. “It was really successful,” said Offerdahl, who noted that Marten this year expanded the program to cover all 1,300 of its OTR drivers. Marten ranks No. 46 on the Transport Topics Top 100 list of the largest for-hire carriers in North America. Driver retention has become top of mind for many carriers. The annualized driver turnover rate at large truckload fleets (those with more than $30 million in revenue) was at 88% in 2017’s fourth quarter, according to American Trucking Associations. Small truckload fleets had an 80% turnover rate. 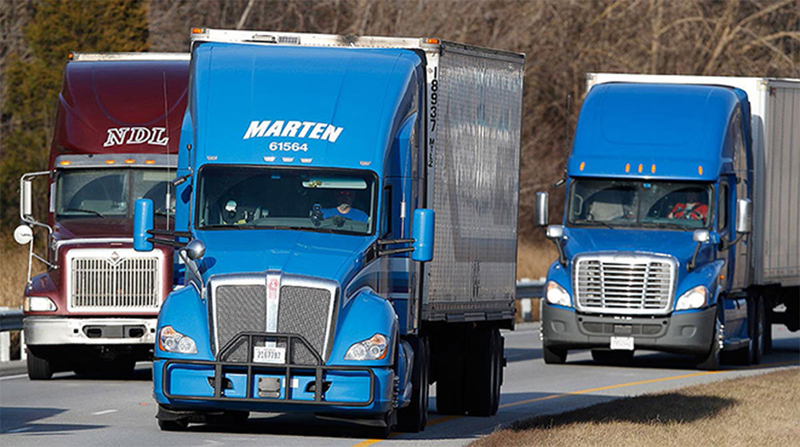 The driver feedback also led Marten to change its policy on pets traveling with a driver, allow trucks when passing a vehicle to briefly exceed the company’s 65 mph maximum speed limit, and modify some of its inspection bay procedures. Most complaints were caused by misunderstanding or miscommunication rather than a disagreement with company rules or procedures, Offerdahl said. Chattanooga, Tenn.-based WorkHound works with more than 10,000 drivers across 25 carriers that range from small outfits to large publicly traded firms, according to CEO Max Farrell. Offerdahl said the WorkHound system can help carriers that are committed to using it.